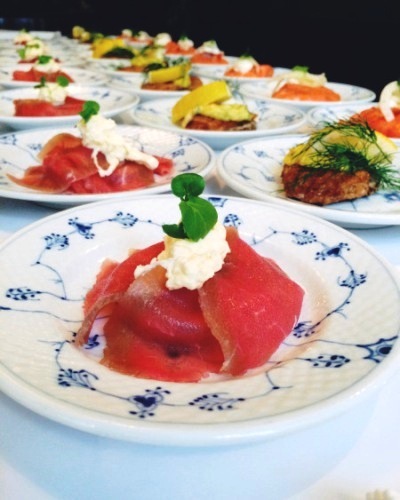 “We were served some amazing food in small portions (“snitter”),” writes Laura from TheCopenhagenTales about the launch party for the new guide to Danish cuisine, Eat Smart in Denmark. 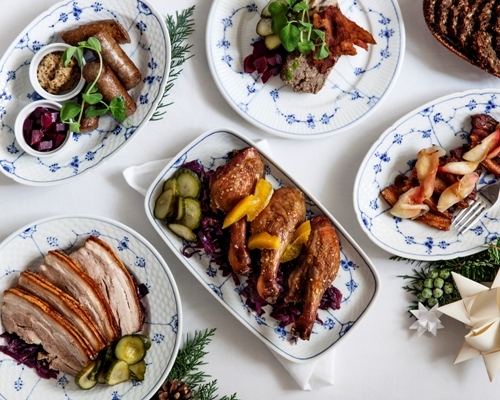 “The book launch was celebrated in Copenhagen staple Restaurant Kronborg located in the old town center with a very cozy, typical Danish atmosphere, and we were served some amazing food in small portions (“snitter”) and local beer from Nørrebro Bryghus,” writes Laura from the smart and informative blog, The Copenhagen Tales. 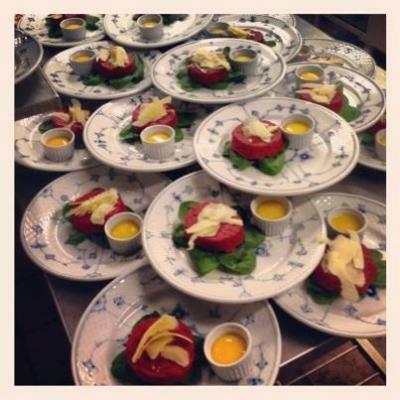 ‘Smørrebrød’ is a tasty option for private parties in the evening. Scraped raw beef on rye bread, pan-fried in butter, with crisp spinach leaves, raw egg yolks and Vesterhavsost are very popular, when we have private parties at Restaurant Kronborg.